This affectionate lady is Callie – a sweet, loving young girl in search of her fur-ever (purrrrr-ever?) home! Callie is about 1 year old, and was rescued from a rural shelter with limited resources. Now she’s a city kitty looking for a lap to warm! 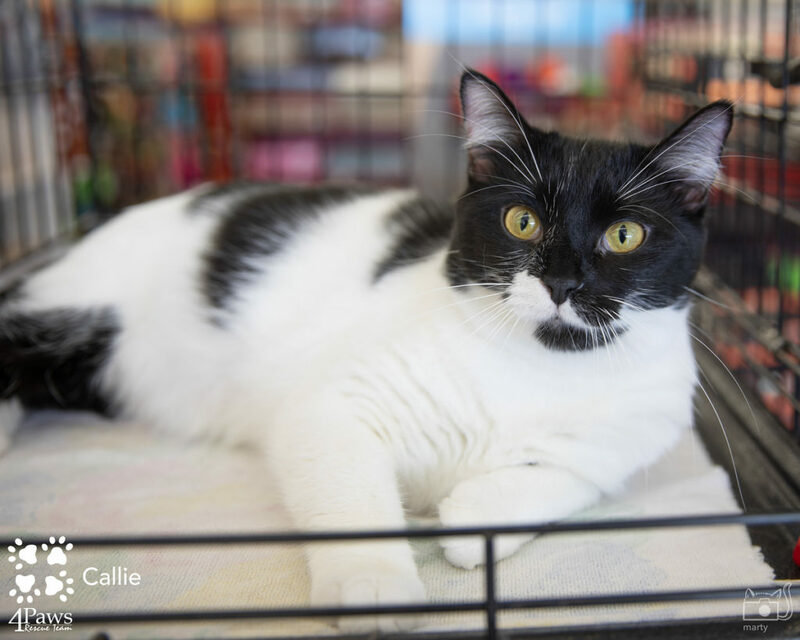 Callie is very friendly and outgoing, and would likely do well in a home with another cat (with the proper kitty introductions, of course) and would also likely be good with children. Callie is very healthy (negative for FIV, FELV, and up-to-date on all vaccinations). She has a gentle disposition and will make someone an incredible pet – is it you? Find out more about adopting Callie here. Meet Sunny, an adorable (look at that nose, people!) 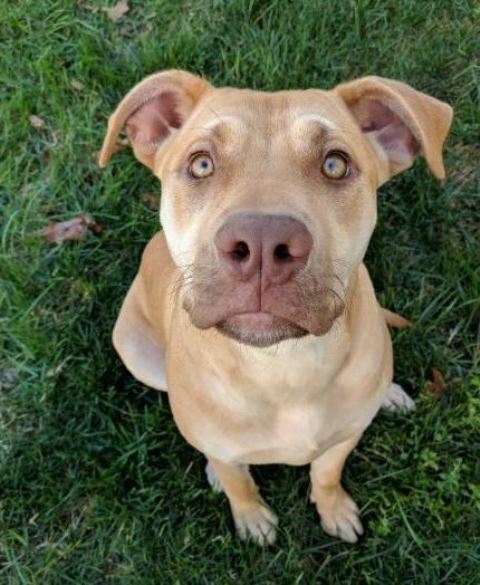 1-year-old Labrador / AmStaff mix, rescued by a kind police officer from a busy road in South Carolina. Sunny is now being fostered in a home in the DMV area. She’s wonderful with people, including children, and is very smart. Her foster family hired a trainer to work with her, and she’s exceeding expectations! Sunny still needs time to make friends with new dogs, but once she has that time, she’s a great doggy friend! Sunny would do best in an active home with experienced dog owner(s) who are able and willing to continue her training and give her plenty of exercise. If this lovely girl sounds like a great match for you, find out more about adopting her here.